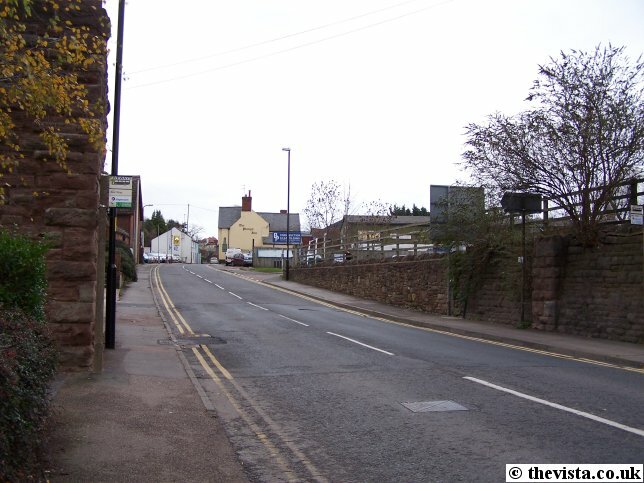 Overross Street starts at Fiveways around Bridge House and runs north past the site of the twin bridges where the railway crossed the town and goes on until it becomes what is now known as Ledbury Road. 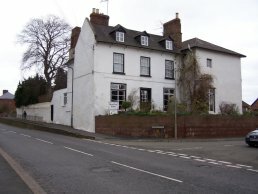 This house was the Mason's Arms Inn. 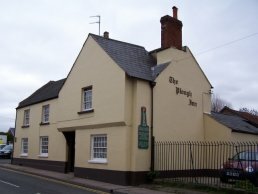 It opened in around 1847 and was later owned by the Stroud Brewery until it was sold for redevelopment. 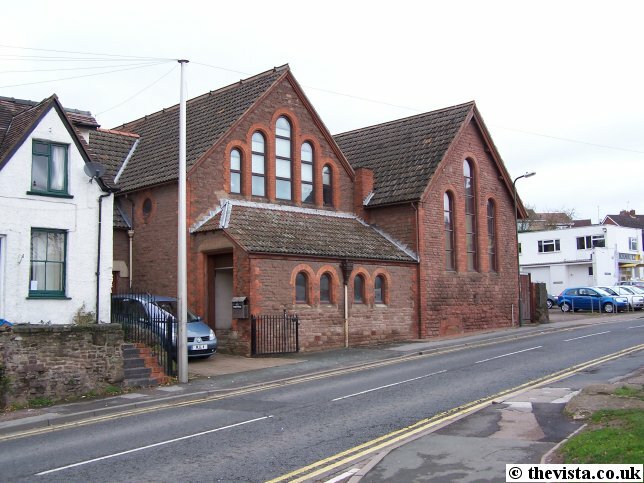 The Mission-Room and Sunday School was built in 1880 as a hall that was 'free to all' to use. 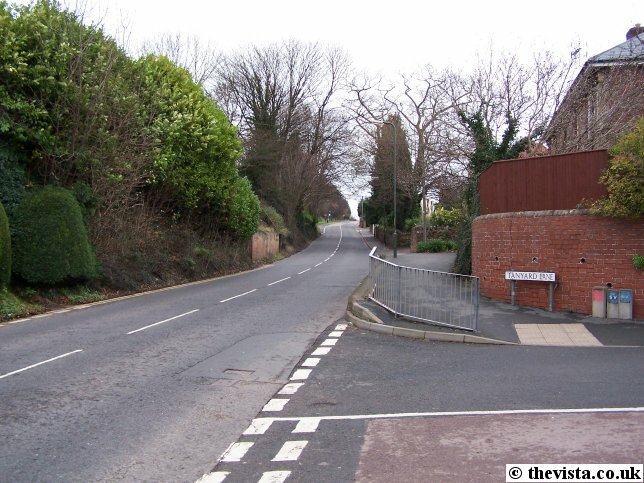 It was extended in 1897 during the commemoration of Queen Victoria's Diamond Jubilee. 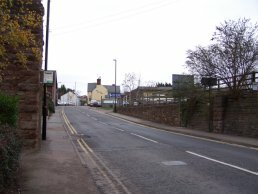 The left side of Overross Street, from just below the Plough Inn down to the site of the Railway Bridge used to be a line of derelict houses. 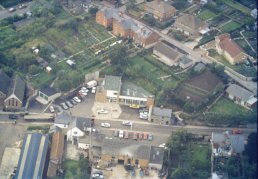 These houses were demolished, as seen below, to make way for the upper part of the Kings Acre carpark that now stands on the site. 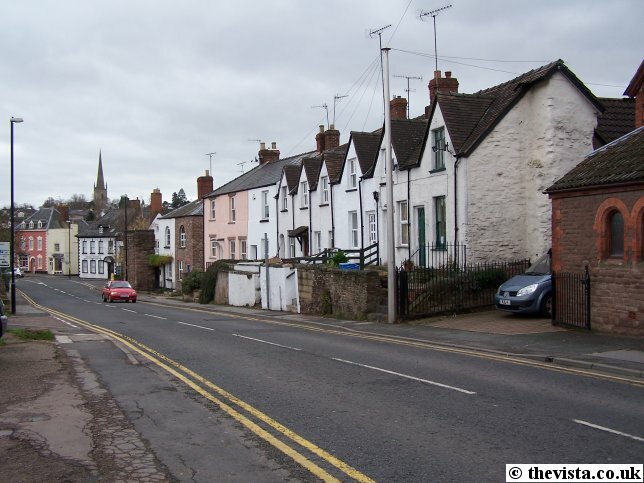 As can be seen in the left-hand shot, the Plough Inn was, at that time, a Whitbread pub. 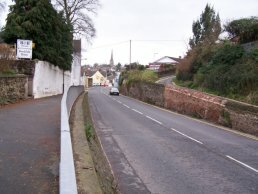 Below is a view of where the houses on Over Ross Street stood, as seen in the old photo above left, which is now the entrance to the car park. 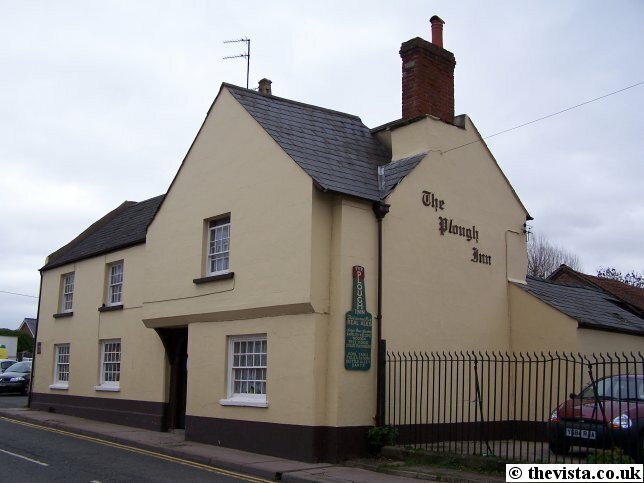 The Plough Inn is thought to date back to the early 1700's when the roads were improved in the area by the turnpike trusts. 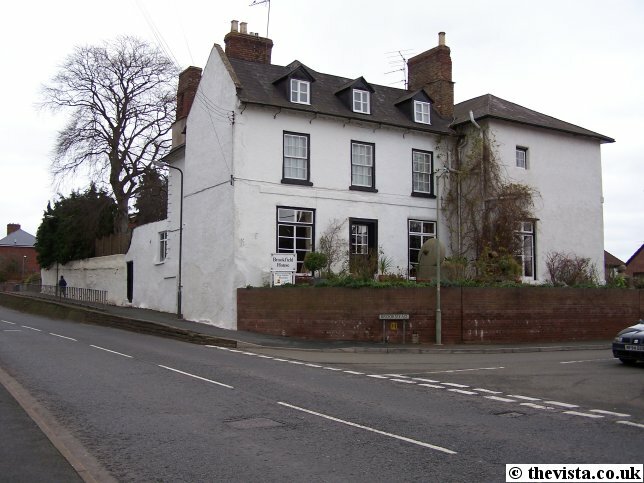 By the end of the 1800's it became one of the many Wintle's Inns in the Ross area. 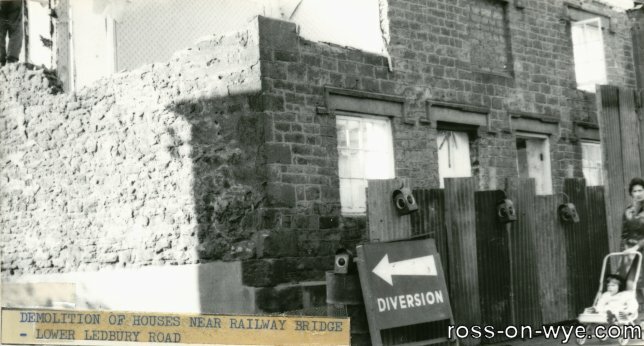 The Overross Garage started out on the east side of Overross Street sometime between 1928 and 1933 and was later extended across the road to allow space for a showroom and sales offices. This photo of Overross Garage was taken in October 1966 from a Tiger Moth plane by a aerial photography business that had recently started up at that time. 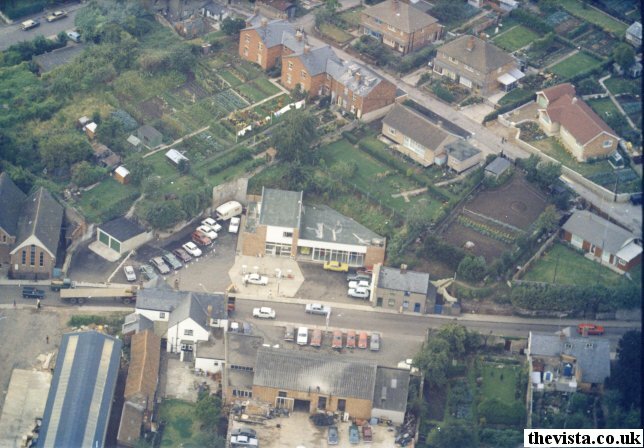 The picture, and the details about it, have been kindly supplied by Mr. Mike Bailey, currently the managing director of the Overross Garage, after a man came into the garage and offered him the picture. The man had taken the picture himself whilst hanging over the side of his Fathers Tiger Moth. 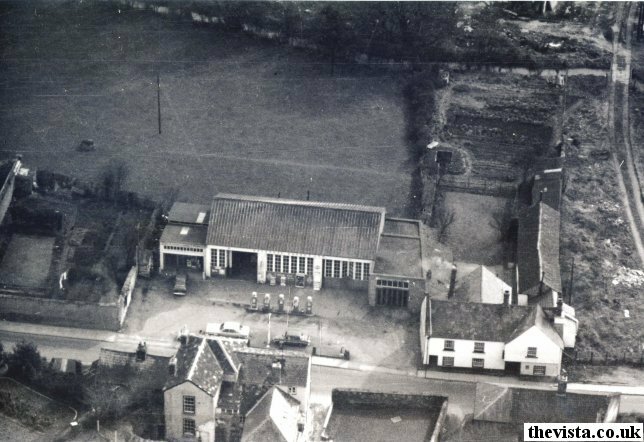 It is a very clear photo and the Plough Inn is clearly visible along with the garage and it's row of five petrol pumps and several cars outside the garage. 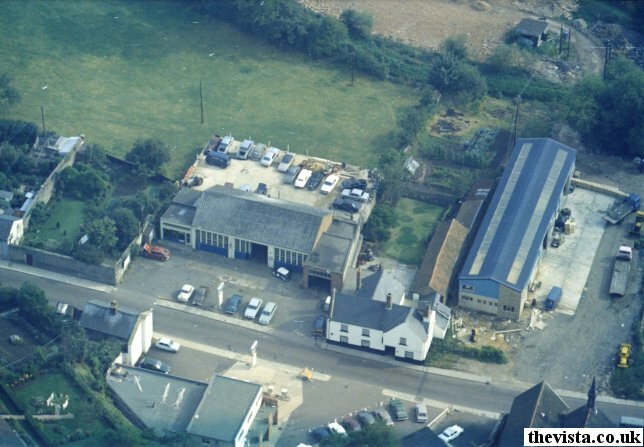 Mike has found out that the white car was a Ford Zodiac belonging to Mr. Mike Lowther, who was a former owner of Overross Garage, and that the car to the right of it was a Renault 10 belonging to Mr Cyril Webb, who was the garage owner when the photo was taken. This was just prior to Lowthers taking over. 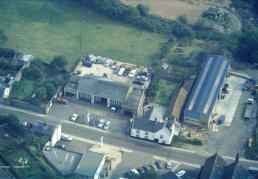 The garage was purchased about a year later by the Lowther Brothers (Phil, Mike and Dave) who had just sold the Yat Garage down the road at Whitchurch. 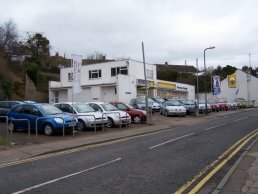 The house that can be seen in the foreground, was demolished in the early 1970's and was replaced by the car showroom as seen today and as seen in the photo above. The house was, according to Mike, a 'Bed and Breakfast' for Lorry Drivers known as Kittys. 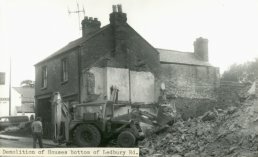 Someone else told me "I remember that the tall building opposite the garage was known as the lodging house, it was a bit rough, so maybe that tramps and the like could find accommodation". 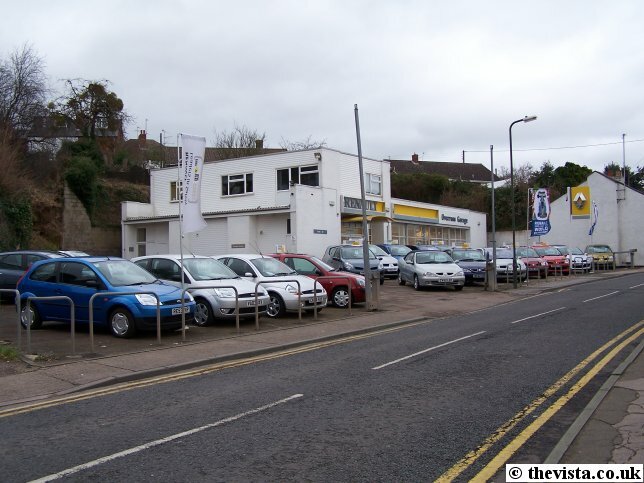 As can be seen below, in the photos taken during December 2007, the stock at the garage had been run down and soon after this the garage closed. 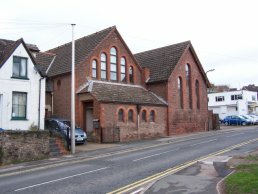 The site remains empty, as noted in February 2009, although it has now been sold and is available for short term lease. 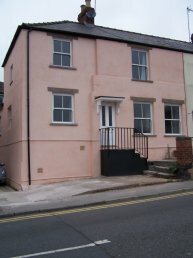 Brookfield House on Overross Street, is a Grade II listed building that has been recently renovated and is currently being used as a B&B. 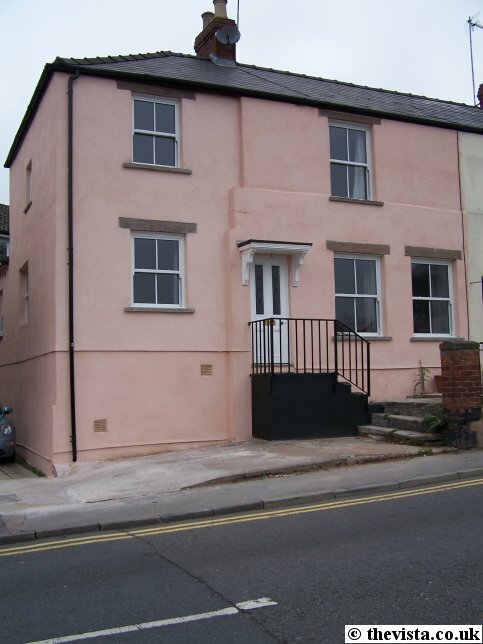 This house used to be the local manor house and was originally called "Mount Pleasant". 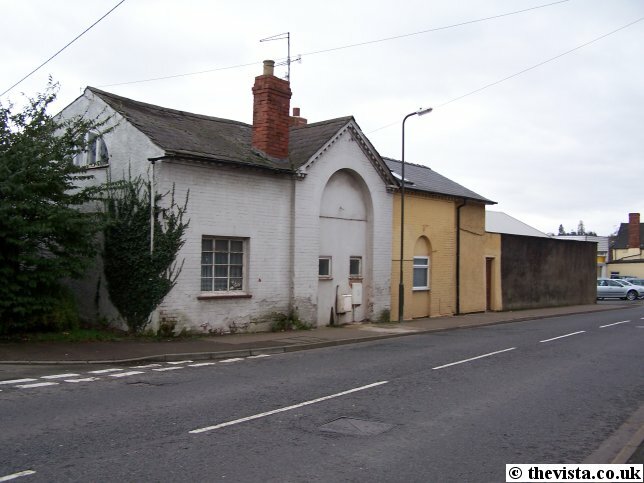 The house had a large amount of land bordered on the south by the railway line, to the east by the Ashburton Estate and to the west by the Springfield Estate. 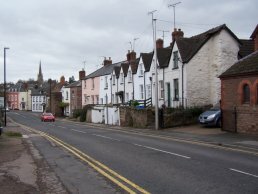 The land has been sold off over the last few hundred years and has been used for further development of the town. 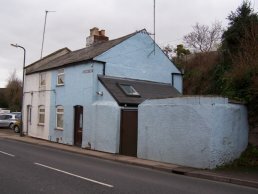 This building, just below Brookfield House, used to be the coach house. This is the view down Ledbury Road and Overross Street from the junction with Tanyard Lane. 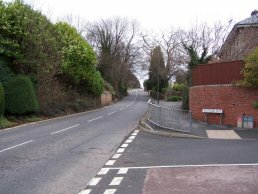 This is the view up Ledbury Road from the junction with Tanyard Lane. The Ross and District Sanitary Laundry Co. Ltd existed pre-1900 and had a receiving depot/shop front on Gloucester Road. This had moved to No. 2 Broad Street by 1923 where it remained until 12:00 noon on 12th August 2006 when the shop closed its doors for the final time. 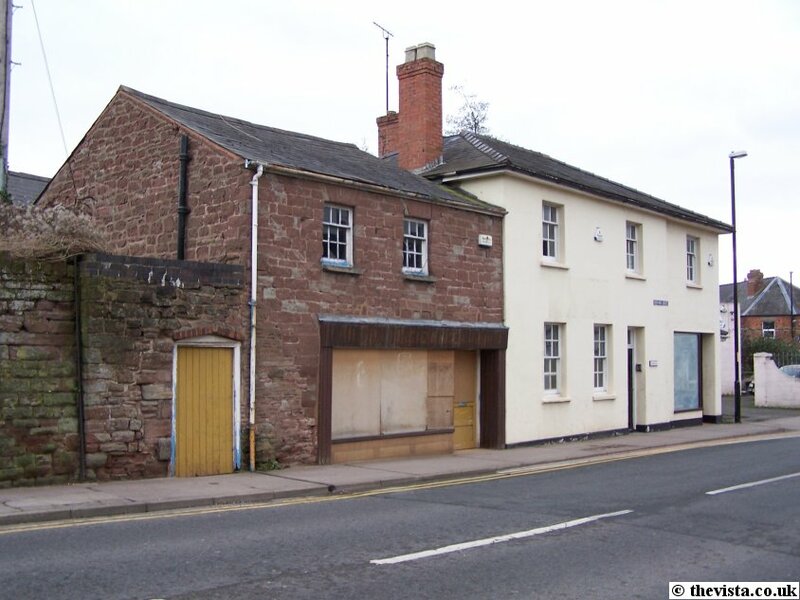 A new laundry was built on the Over-Ross Industrial Estate and the old laundry building itself, on Ledbury Road, was demolished by the end of January 2006 and the site made ready for redevelopment. 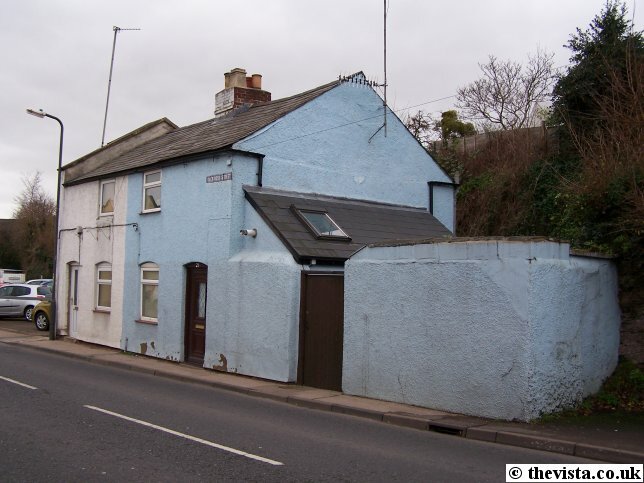 These photos were taken a few weeks before it was demolised.